The master retreat is tranquilly tucked away, boasting a gas fireplace with full-height rustic shiplap surround, oversized triple window, and built-in audio system. The walk-in closet features brand new California Closets, while your spa-like ensuite offers heated marble tile flooring, a built-in double vanity with marble countertop, walk-in glass shower with King rain showerhead, and a standalone soaker tub set beneath a brilliant chandelier. 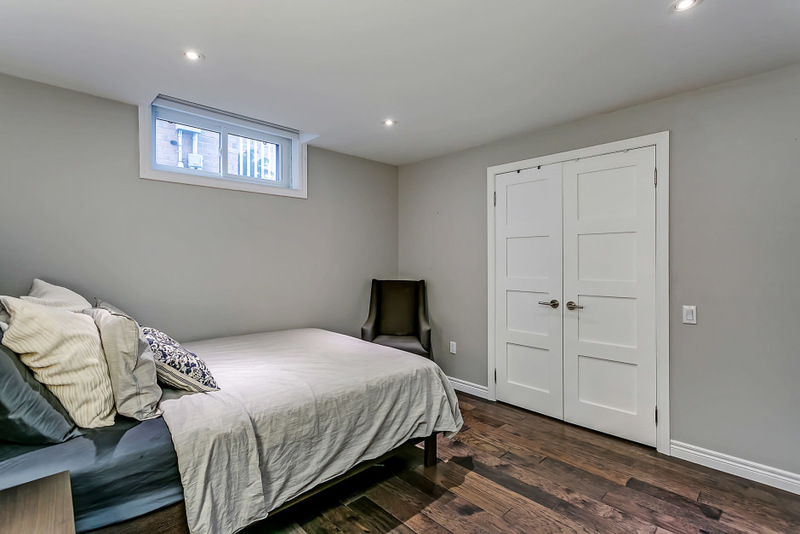 A second bedroom is also located on the main level, while the third and fourth bedrooms are located in the lower level, along with an additional full bathroom and large recreation room – ideal for teens, nannies, in-laws or guests! 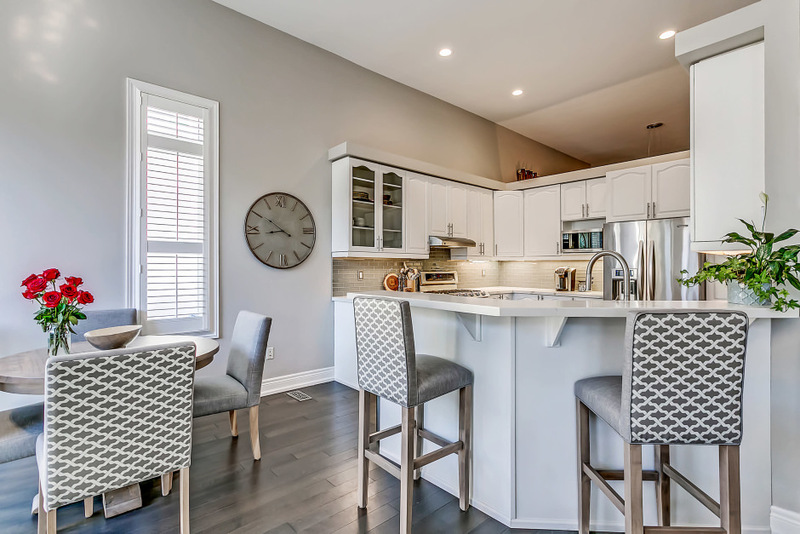 This stunning home is located in an established neighbourhood with top-rated schools and fabulous amenities – walk to Starbucks, Fortinos, Goodlife Fitness and more! Ideal commuter location, with quick access to major highways and just a 10-minute drive to the Appleby GO station. A fantastic package!